The gallery will be closed on Friday, July 8, due to photography. As we enter July, summer is well under way and the heat is growing ever more intense here in Tokyo. A good time to come indoors and see an exhibition! With this in mind, London Gallery will be rotating the objects on display and opening an exhibition of Chinese Buddhist art. 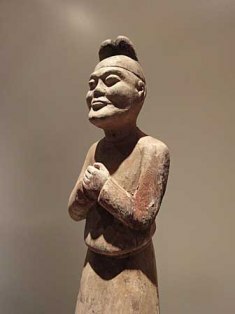 Objects such as this seated Buddha from the Dunhuang caves and wooden effigies used as funeral goods will be out for viewing. 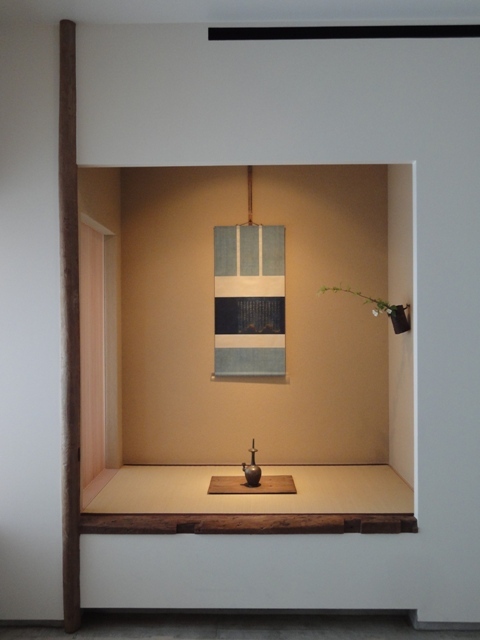 We look forward to seeing you here at the gallery. Hydrangeas bring me great comfort in the otherwise dismal rainy season here in Japan. We have brought a small hydrangea plant to London Gallery and placed it on the balcony. 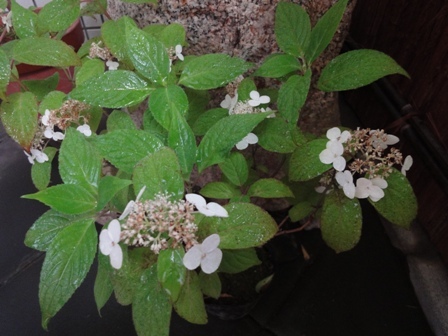 It is a mountain hydrangea called "beni," because even though it is white now, it eventually takes on a deep reddish color, called beni in Japanese. Kamakura comes to mind at the mention of these flowers. 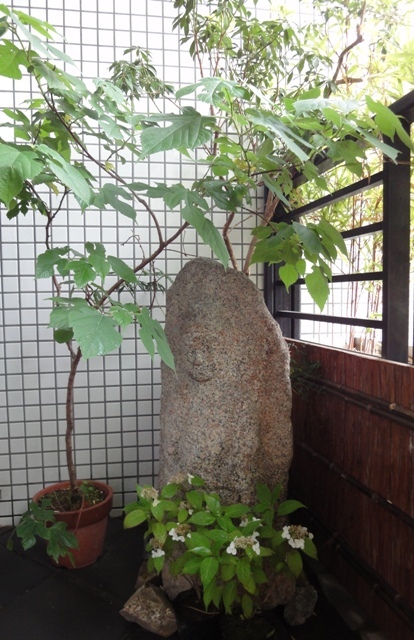 The temple Hasedera is particularly well known for its hydrangeas, but I always hear about the nearby temple Kōsokuji. It is so peaceful and luxuriant within the temple grounds that it is a place I would really like to keep secret. Please go and have a look for yourself! The photography from the day before has been extended, and the gallery will also be closed on Thursday, June 16. Again, we apologize for the inconvenience. Zaō Gongen, such as rendered in this Heian period (794 - 1185) kakebotoke, has a very unique form. One of the main deities worshiped by mountain ascetics practicing Shugendō, Zaō Gongen is the protector of the mountain Kinpusen in Nara prefecture, and is considered a Japanese Shintō manifestation of three Buddhist deities - Sakyamuni, Avalokitesvara (Kannon), and Maitreya (Miroku) - that was first revealed to the mountain ascetic En no Gyōja in the seventh century. 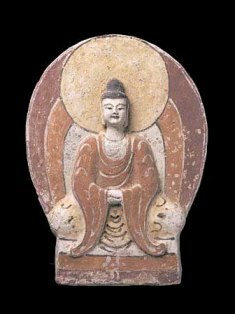 The combination of these three deities - the historical Buddha, the savior of the present age, and the Buddha of the future - was thought ideal for the worship in the decadent age of mappō, the latter days of Buddhism that was believed to begin in Heian period. There are of course multiple versions of Zaō Gongen's origins and much of what has been passed down to the present day may very well be legend, but it is an interesting story to say the least. 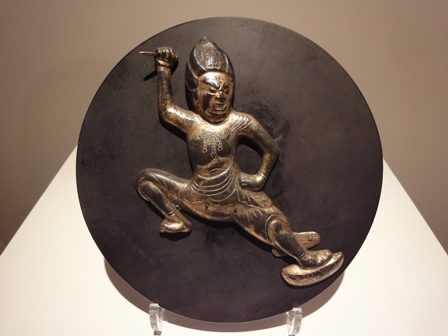 It is thought that the kakebotoke figure featured here was originally attached to a bronze mirror-like disc and hung in a temple. Other examples of Zaō Gongen imagery seem less Buddhist in nature, appearing more as a Shintō deity, or even together with the torii gate of a Shintō shrine. Though the syncretism of Japan's ancient mountain worship practices and imported Buddhist beliefs may be difficult to understand for those of us today, you can feel in it the spirit of all things in nature. To the sensibilities of a Japanese person who visits both the shrines and temples of various places, it seems almost natural that such a system was created. Photography has been scheduled for Wednesday, June 15, and the gallery will therefore be closed that day. We apologize for the inconvenience. We apologize for the inconvenience, but the gallery will not open until 2:00pm on Saturday, June 11. Thank you for understanding. Last time we touched upon the Nigatsudō yakegyō, but somehow Buddhist sutras are difficult to get a grasp of. 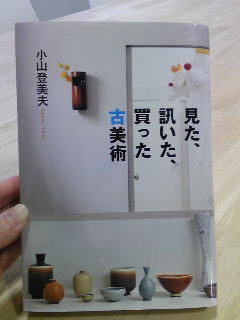 It is called Mita kiita katta kobijutsu (Classical art I have seen, listened to, and bought) by Koyama Tomio, and is a collection his writings from the "Geijitsu Shincho" series by the Shincho publishing company (2010). The fourth part is called "A hand copied sutra from London Gallery," and recalls the time the author came to the gallery for a visit. He describes the process of looking at a sutra and actually deciding to buy it from the unique perspective of an art dealer who handles the work of currently active, contemporary artists. He says things such as "Written so perfectly, it feels as if this is the very origin of the characters themselves. They are so sharp and beautifully executed." "The tabishi paper is interesting as well." 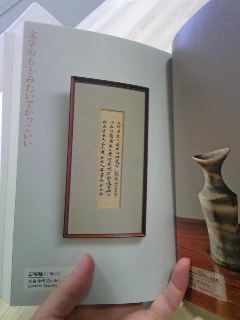 Sutras such as this are popular even in the West where the Chinese characters (kanji) are understood by very few people. Koyama-san said, "I have never looked at kanji so carefully before." Putting aside any preconceived notions and not thinking too deeply, I hope you will have a good look too. 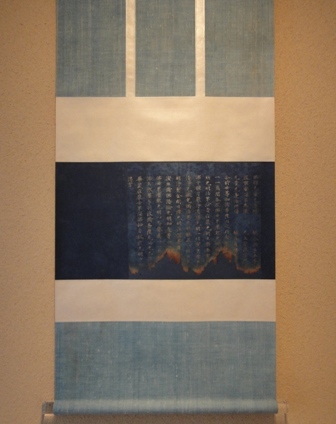 The impressive scroll in the tokonoma is part of the so-called Nigatsudō yakegyō ("Burnt Sutra from the Nigatsudō"), which dates to the Nara period (710 - 784). The flowers are both native to Japan, the small-leaved zuina (Itea japonica), and the baika utsugi (Philadelphus satsumi). It's amazing that the building does not catch fire. But of course, it did burn down once in the past. In fact, the Nigatsudō burnt completely down in the early Edo period (1600 - 1868), in the year 1667. This scroll is a fragment of one of the sutras that was taken out of the temple after being slightly burnt in that fire. The silver characters of the sutra, painstakingly transcribed one at a time, seem luminous even today despite having been burnt so long ago. The pattern and changes in the color of the indigo paper brought about by the flames at the bottom of the fragment possess an indescribable beauty, adding all the more to the fascination of this piece.